Samsung is poised to launch its new Galaxy Note 9 smartphone in August, but most of the innovative tech will be in the stylus rather than the phone proper. Citing tipster Ice Universe, tech website SamMobile on Monday said the stylus would have Bluetooth connectivity so its button "could... be used for triggering a long-range remote self-timer and for controlling music playback." Other sources say users will be able to write on paper and the text will appear on the screen. 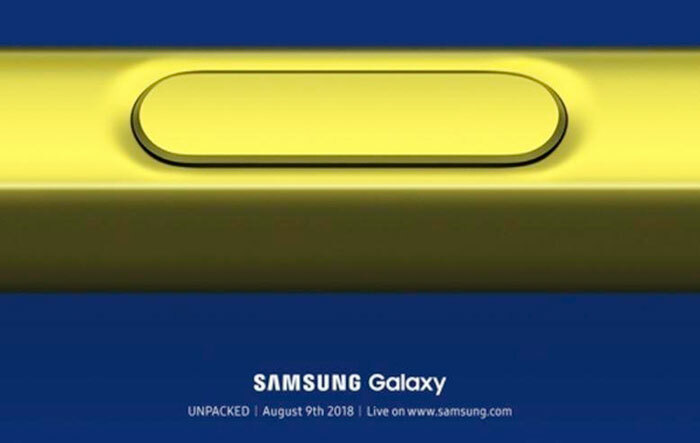 Samsung last Thursday sent out press invites for its launch, which will be held in New York on Aug. 9. The invitation features a close-up of a button on the stylus. Samsung first introduced the S Pen with the Galaxy Note when it was released in 2011. It has since gone through several upgrades. Phones themselves are much of a muchness in today's saturated market, so much of the effort goes into accessories. The stylus seems to be one area where improvements can still be made, and rivals LG and Apple are introducing similar products. Research and Markets predicts the global stylus market will grow an average of 14.5 percent a year, from US$327 million in 2016 to $816 million in 2023. Samsung developed the S Pen jointly with the world's No. 1 graphics tablet maker Wacom.